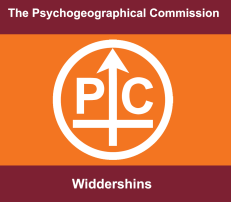 This special events will feature talks, film screenings and performances to explore themes of cultural rituals, earth mysteries, psychogeography and folklore. 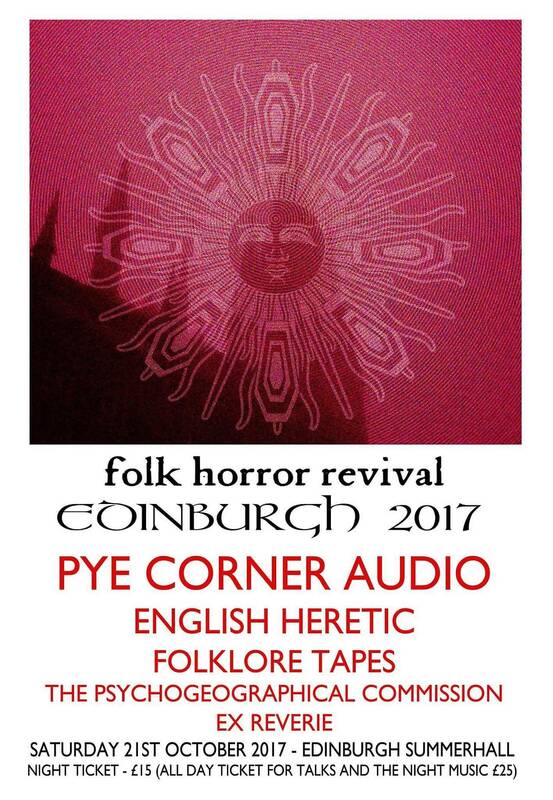 Named after an uncanny host of supernatural beings in Scottish folklore,The Unseelie Court comprises of two events- a day event largely focussed on talks and a night event focussed on music. A separate ticket will be required for each event, with a discount for those attending both. 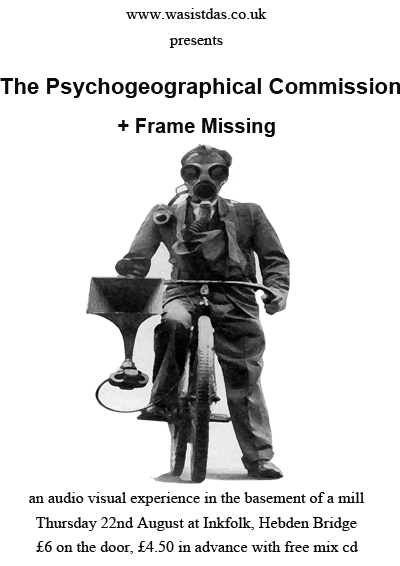 Renowned for their merging of mythology, music and film, The Psychogeographical Commission delve into the Jack the Ripper legend. 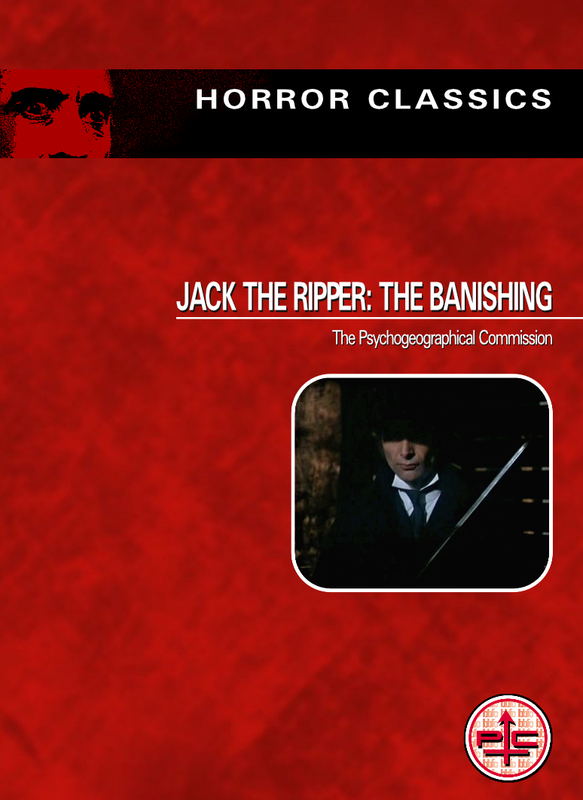 With the soundtracking of five films they'll separate out the murders of ‘Canonical Five’ victims to expound the theory that a single ‘Jack’ never existed in a banishment of the ‘Ripper' meme. 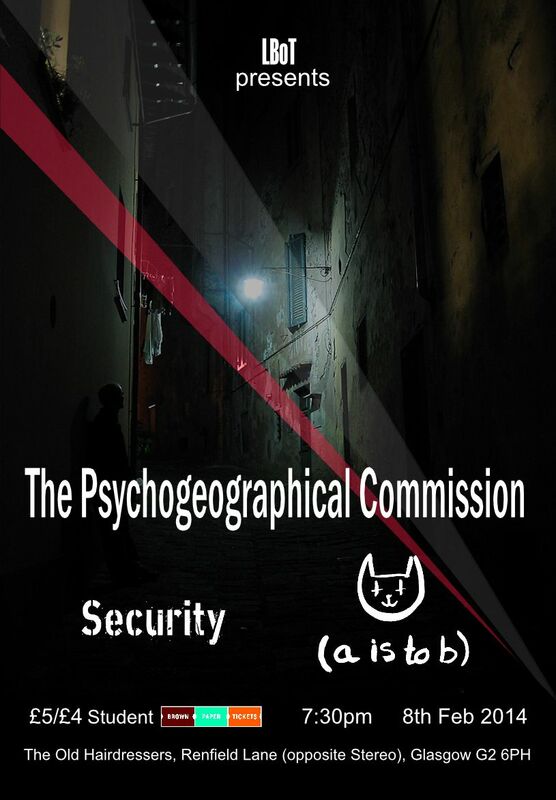 Security are a duo formed in 2009 by Joe Ahmed (Chekists) and p6 (OV, Desalvo and Stretchheads) through a mutual love of techno pop and industrial electro. The duo's recent compilation Security #1, was self-released as a highly limited lurid yellow cassette and finds them channeling the spirits of Throbbing Gristle, Hard Corps and Fad Gadget. (a is to b) is equal parts Crystal Castles' domineering sonic assault and The Haxan Cloak's crepuscular, gloomy atmospherics. At once lo-fi and viscerally immediate, they exist in the perceptual bleed between transgressive performance art, punishing electronic noise and somnolent, dark ambient void-space. 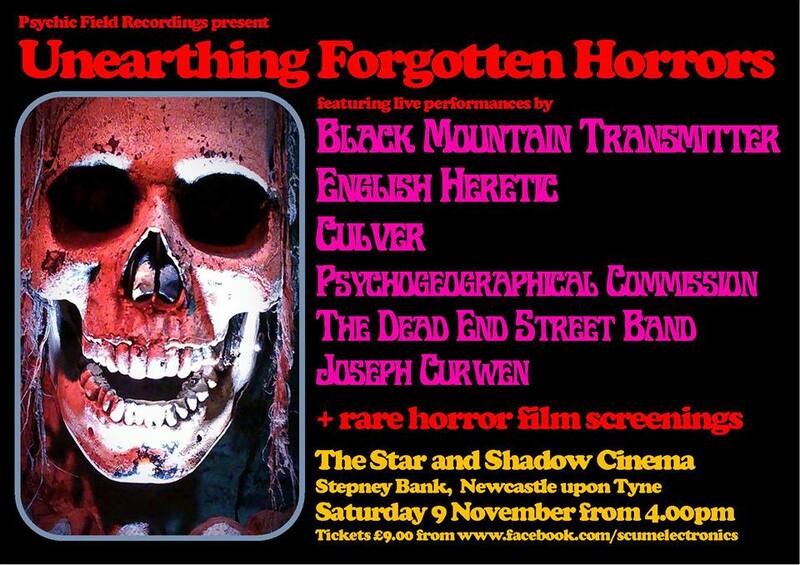 Bringing together rare film screenings of key works from the golden age of UK horror, with an exclusive line up of musicians/bands influenced by them, Unearthing Forgotten Horrors is a celebration of horror in music and film. 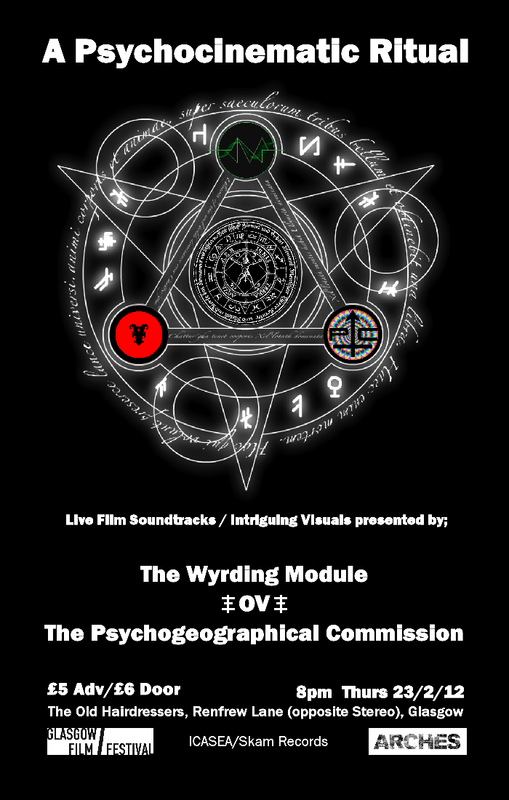 Presenting North East (and English) premieres by outsider artists who operate on the occult fringes of the musical underground, Unearthing Forgotten Horrors, draws together a very special bill of eerie drones, psychedelic noise, and classic horror films rarely screened in cinemas. We'll be debuting our 'Banishment in five films' of Jack the Ripper to mark the 125th anniversay of the the murders this year. With support from Frame Missing. 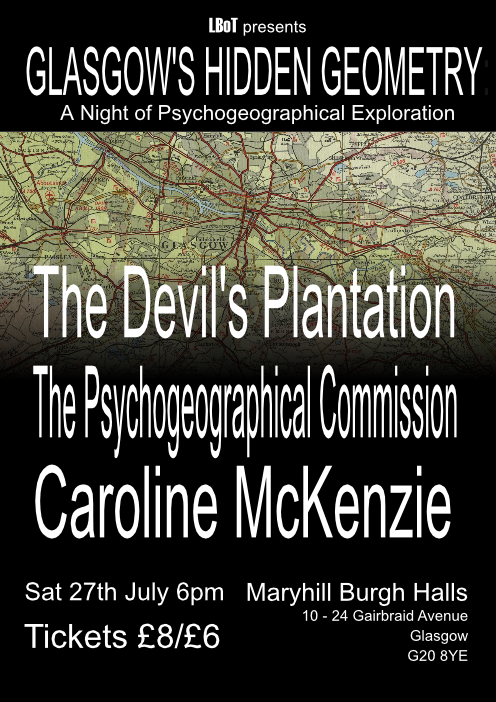 A Night of Psychogeographical Exploration in music from The Psychogeographical Commission and Glasgow sound artist Caroline McKenzie, with a showing of the feature film ‘The Devil’s Plantation’ by BAFTA winning filmmaker May Miles Thomas, with an Introduction to Psychogeography by Dr David Manderson.